Paper Pawz: Holiday craft time with Hero Arts! I am just loving the 2015 Hero Arts Holiday collection. Hero Arts is the first stamp company I discovered when I began card making. I love the refreshed Hero Arts look and stamps! I was so very excited to start playing! This is from a Lia Griffith "tag set" but I really wanted to make a shaker card out of it! I just love the die and with glitter paper you don't need much else! I am submitting this one to the current Hero Arts Holiday Cardmaking Challenge. Please scroll down to see product list. This is so gorgeous!!! Good luck! Great project! Lovely! Awesome white, silver and blue color combo! 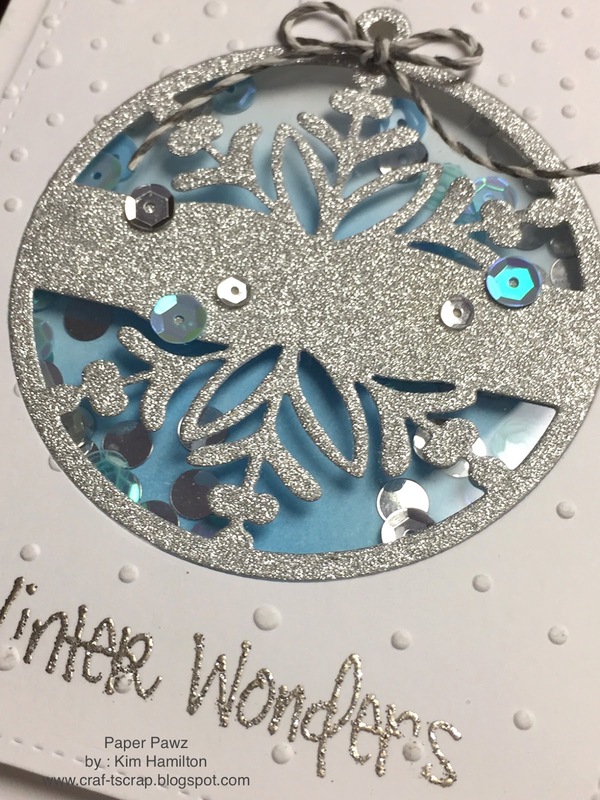 Thanks for joining in the Hero Arts Holiday Cardmaking Challenge! I really love this unique use for the die. Beautiful colors, too!